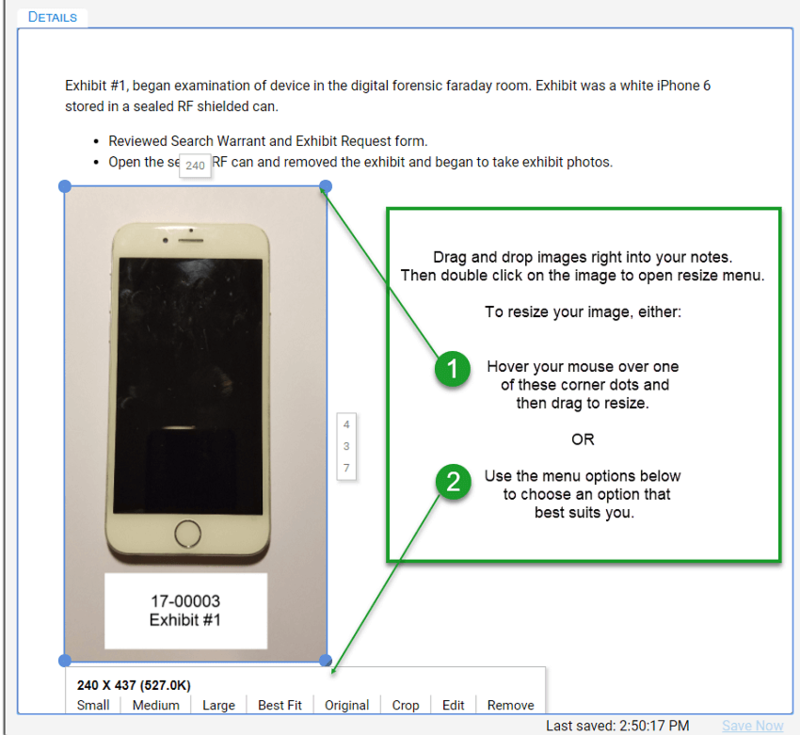 Recently there has been a lively debate regarding the type of notes that should be produced during a Digital Forensics Examination. 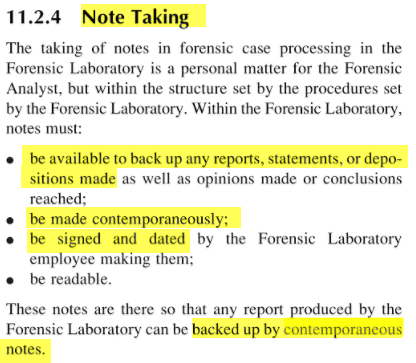 Though there seems be strong agreement amongst organizational bodies that contemporaneous notes (CN) should be written during a Digital Forensic Examination, as will be discussed in further detail below, there is still much debate about what exactly ‘contemporaneous notes’ are. This is where the debate gets interesting. 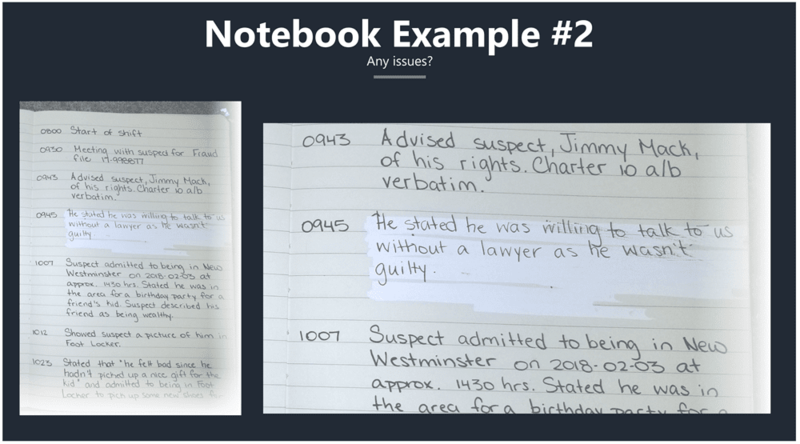 Some Digital Forensic Examiners question the actual need to create contemporaneous notes, or at least the type of contemporaneous notes that most police officers have been taught how to record. 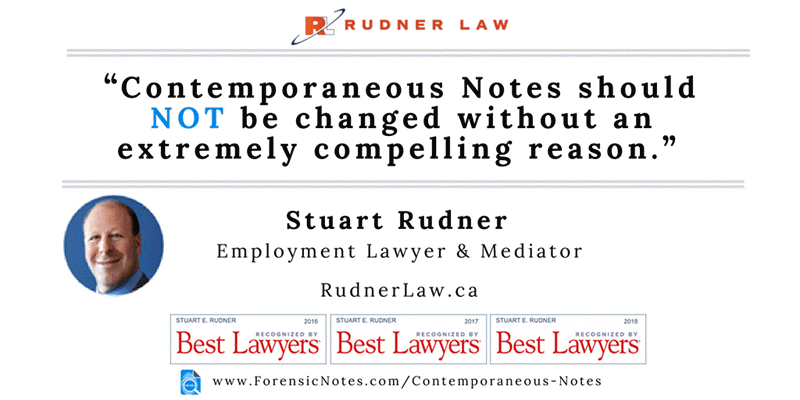 Police Officers are taught to write notes at the time of an incident or shortly thereafter, and provide those “contemporaneous notes” to Crown Prosecution and Defense with any reports that may lead to criminal charges. 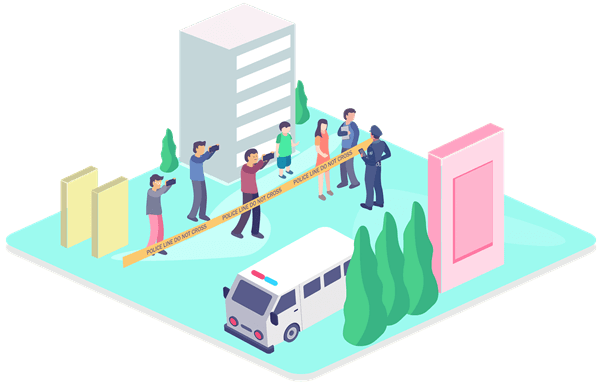 They are also expected to keep their notes should a person complain or question police actions days, months, or even years after the fact. 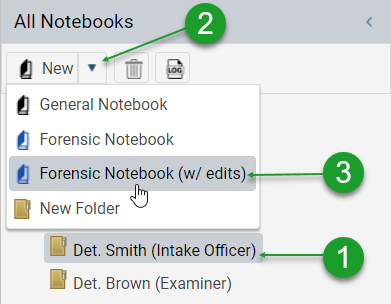 As a result, many departments have retention policies regarding officer notes that require the officer to keep all notebooks for several years after an incident and make them available to the department if requested. 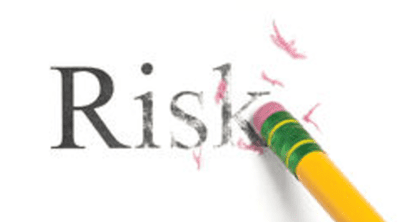 Failure to provide your contemporaneous notes can result in disciplinary action. 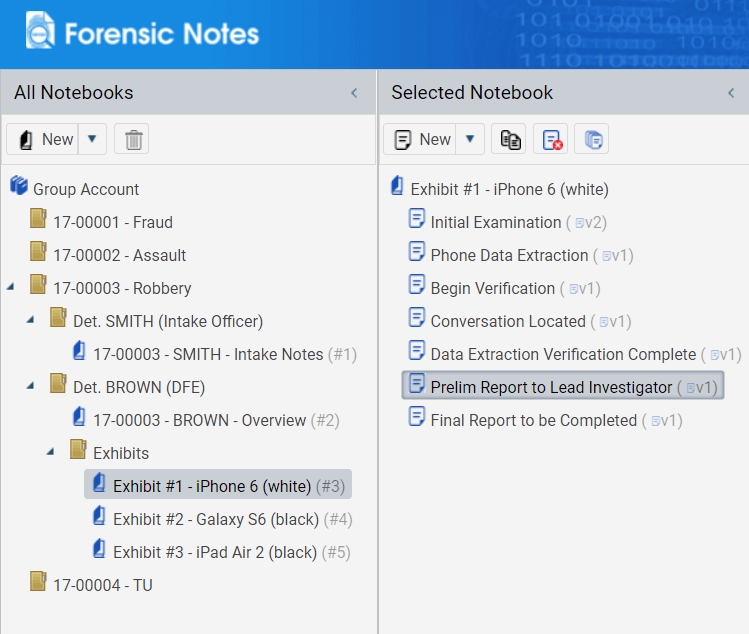 In comparison, many Digital Forensic Examiners see contemporaneous notes as simply a document to help produce a final forensic report with no need to provide those notes to the opposing party. 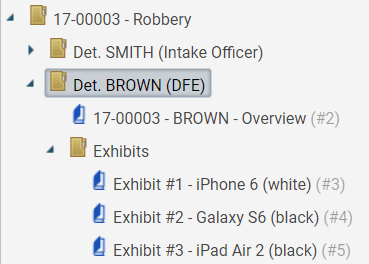 In fact, in at least one US State, the common practice is to destroy all notes upon the completion of a Digital Forensic Report. 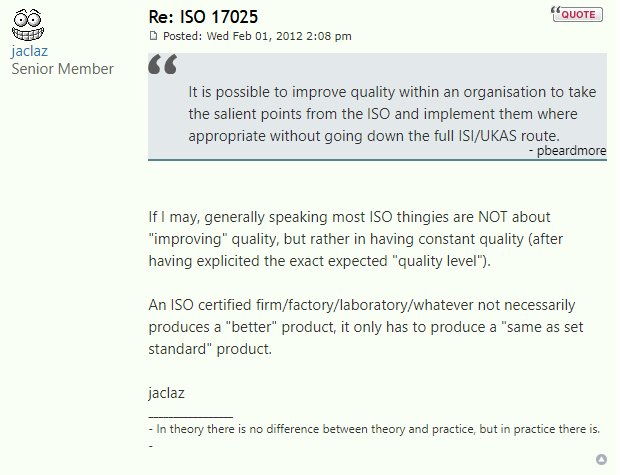 As I will explore in depth below, this belief seems to contradict those that are writing the guidelines. 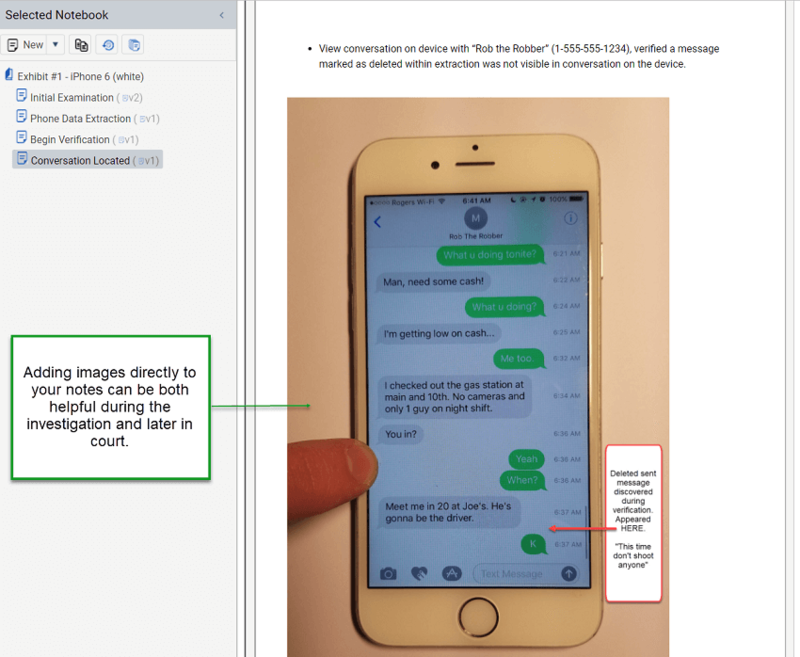 This could result in legal issues should defense question the location or existence of your contemporaneous notes while at trial. 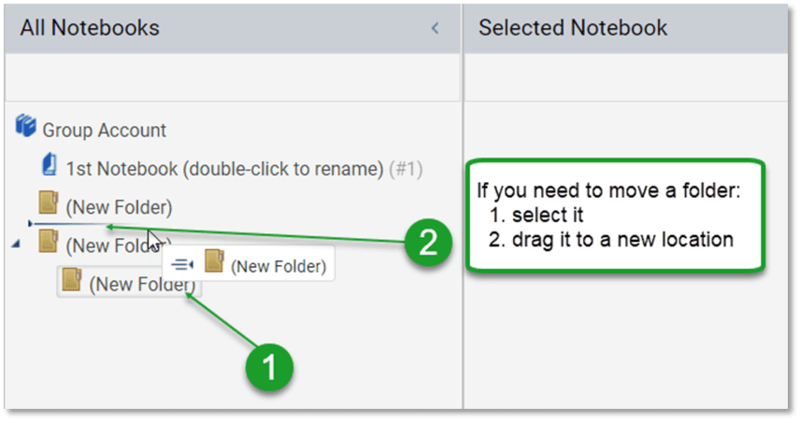 I learned to pay the maximum possible attention to details, to document everything, to keep archives – paper or digital – well ordered. 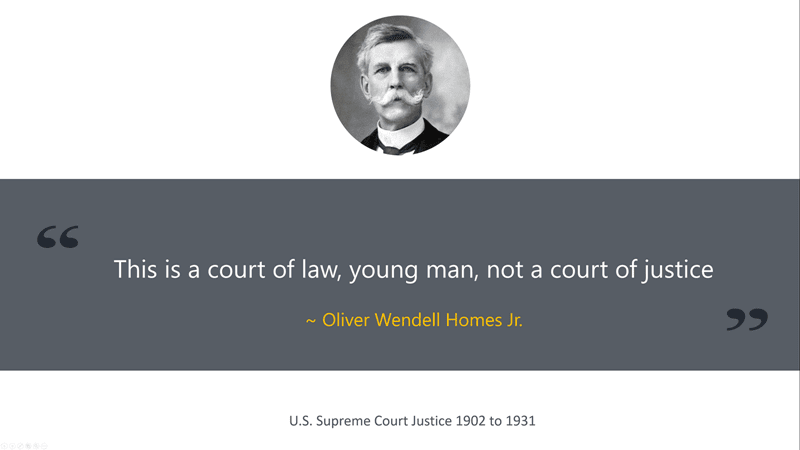 This is a key factor when and if you need – possibly years later – to review a project or to support or challenge claims in court. Don’t believe that issues with failure to properly keep contemporaneous notes could cause legal issues? 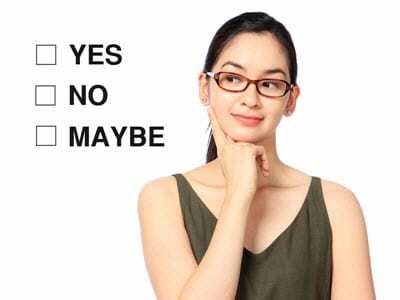 Then please continue to read the rest of the article as we dive deeper into the potential issues you are likely to face. 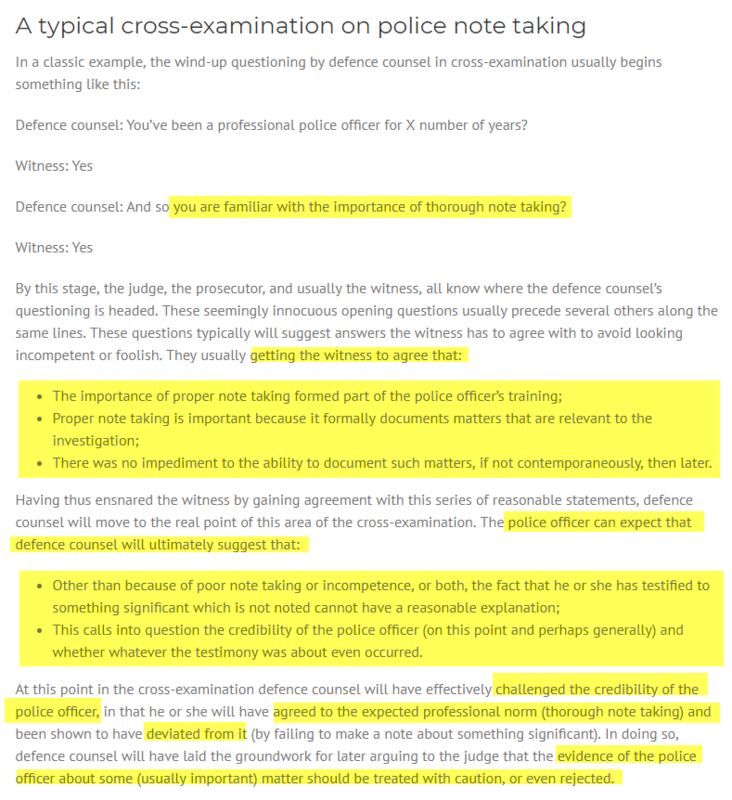 The courts can be an unfriendly place especially to ‘experts’ who must articulate and explain every aspect of their investigation. 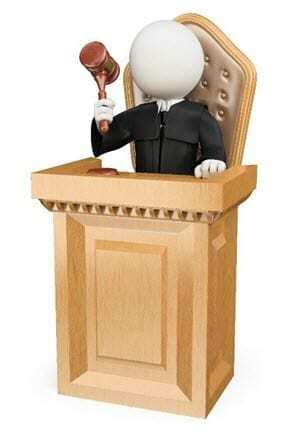 Often the opposing counsel’s plan will be to discredit you as an expert rather than attack the actual evidence of the case. 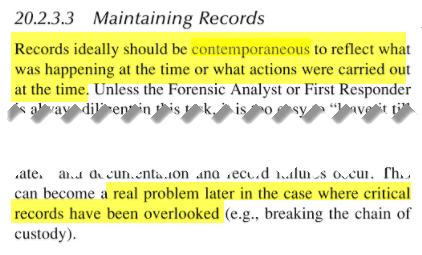 ~ Oliver Wendell Homes Jr.
Greg Smith, a well-respected UK expert in Digital Forensics states the following in regards to contemporaneous notes. 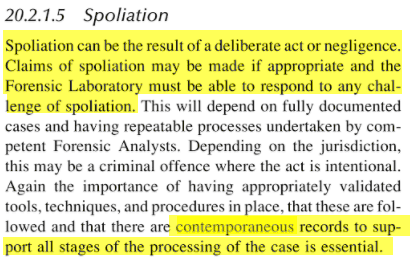 The following ACPO guidelines are taken from the Good Practice Guide for Digital Forensics. 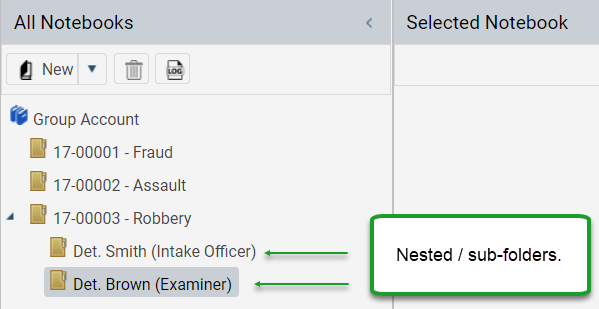 The ACPO guideline is very clear on the need to take detailed contemporaneous notes and disclose those to defense as required. 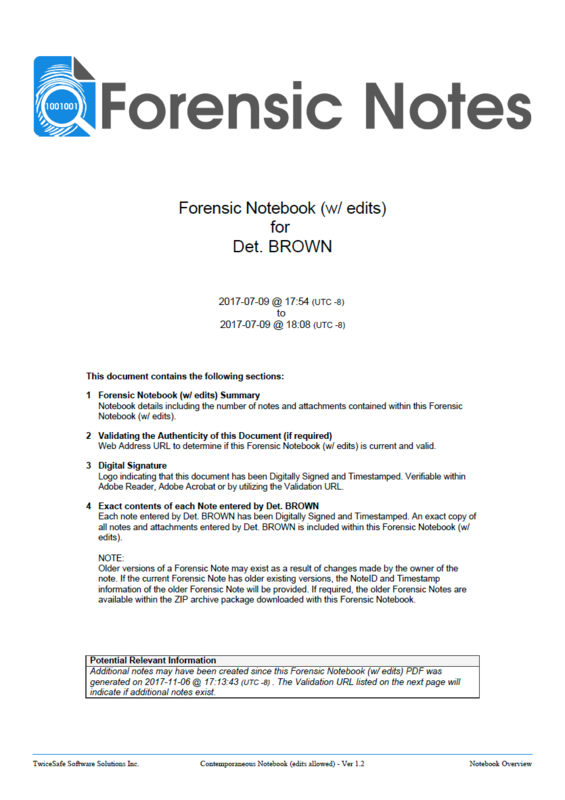 The ACPO guidelines also advise to take “meticulous notes” during live forensics which meet the goals of “Principle 3”. 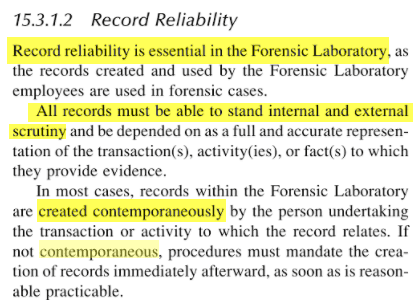 The guide further emphasizes the need to keep all documentation in order to comply with “Principle 3”. 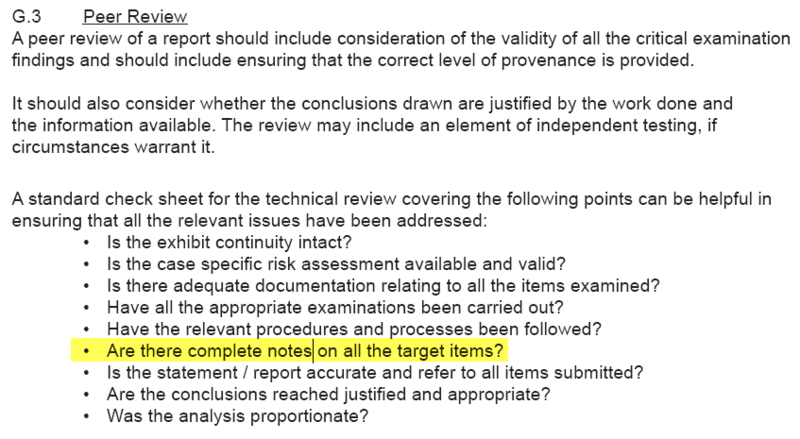 Within the Data Reporting section of the ACPO Guide, it states very clearly that “Examination Notes MUST be preserved for disclosure or testimony purposes”. 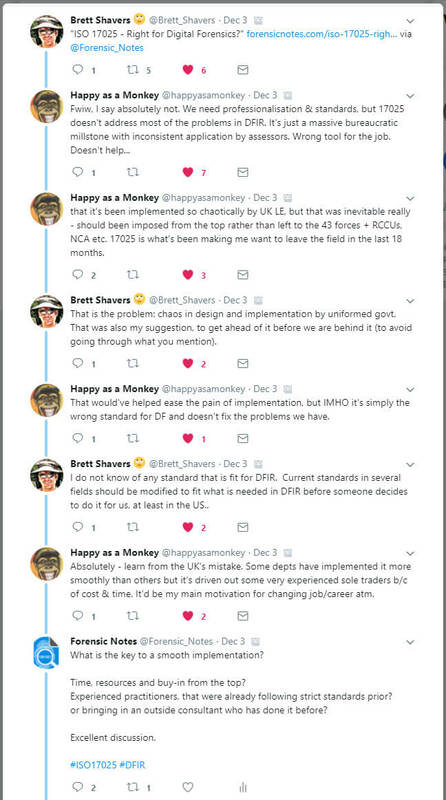 …if these bodies and guidelines had intended notes could be altered surely they would say so? 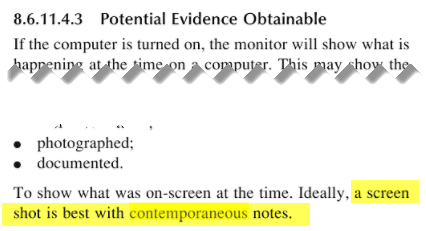 Unfortunately, amongst many examiners there appears to be an incomplete understanding of what Contemporaneous Notes are. 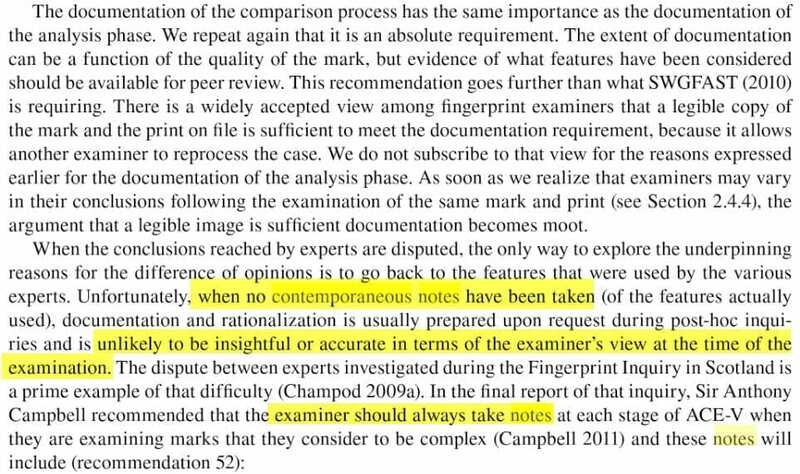 Some examiners believe that their notes can be altered without the need of being able to PROVE what the original note had stated when it was first written. 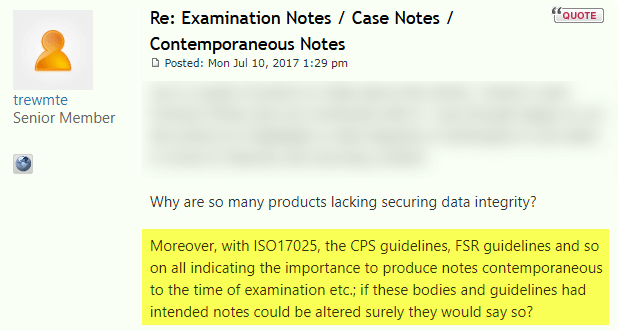 As the definition of ‘preserved’ indicates, examination notes must be kept in their original state. 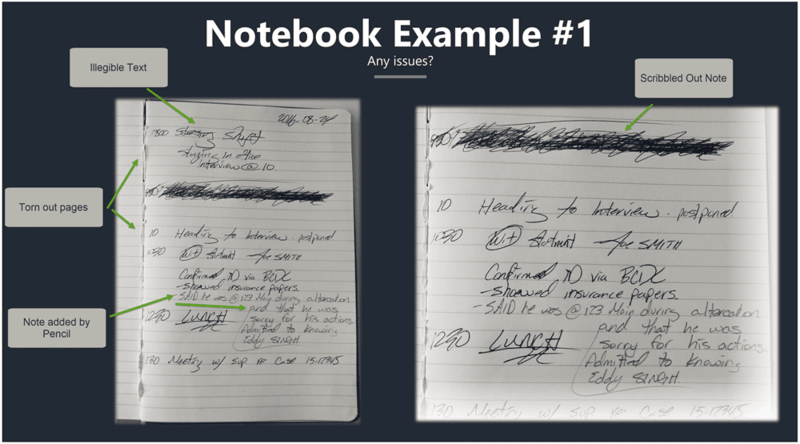 To me, this means that if you are hand writing your notes, you must keep those original hand-written notes. 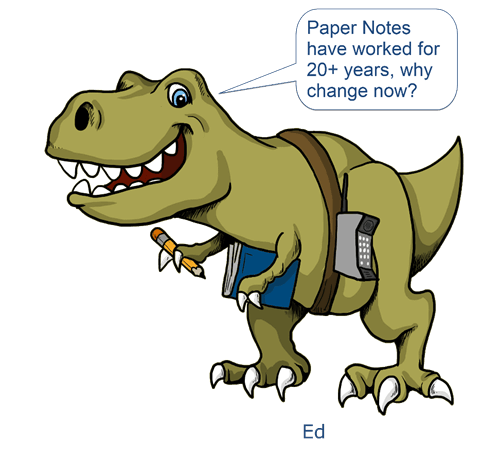 If notes are being produced electronically, then you must have a way to PROVE that the notes have not changed or been altered since they were created. 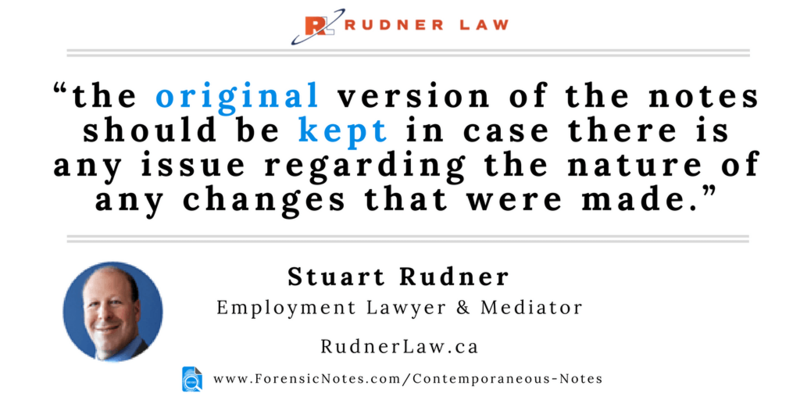 Lawyer Stuart Rudner agrees that the original notes should be kept. 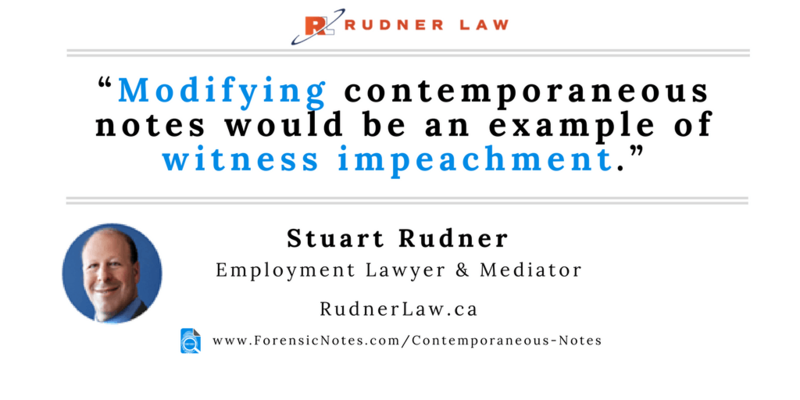 Stuart expands on this statement, saying that modifying the original contemporaneous notes without keeping the original would be an example of witness impeachment. 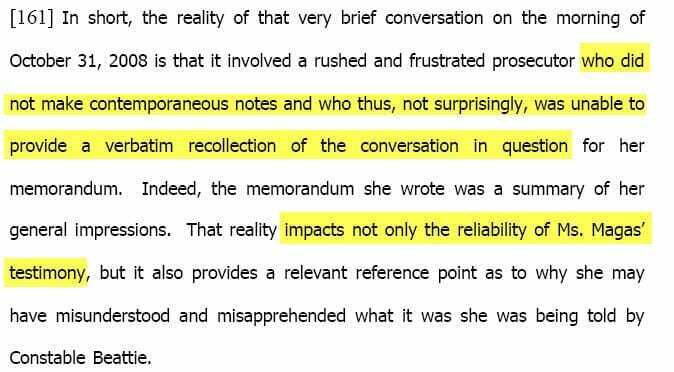 How would you cross-examine a witness if you suspected that he had modified his contemporaneous notes? 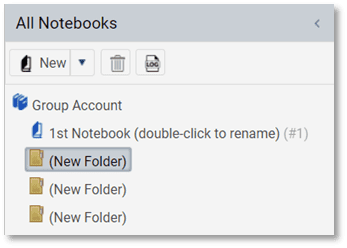 To see the answer to the above question and other questions regarding contemporaneous notes, please click here. The current regulator is Dr. Gillian Tully. 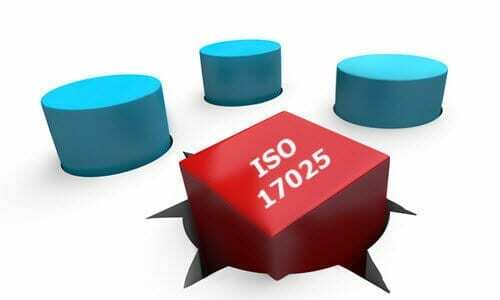 She has mandated that all Digital Forensic laboratories in the UK be ISO 17025 accredited. 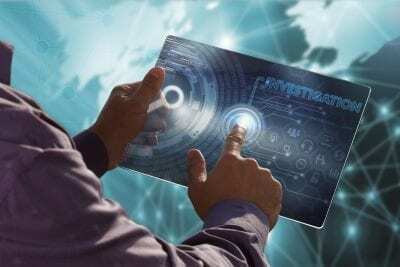 Below are excerpts from the various FSR publications. 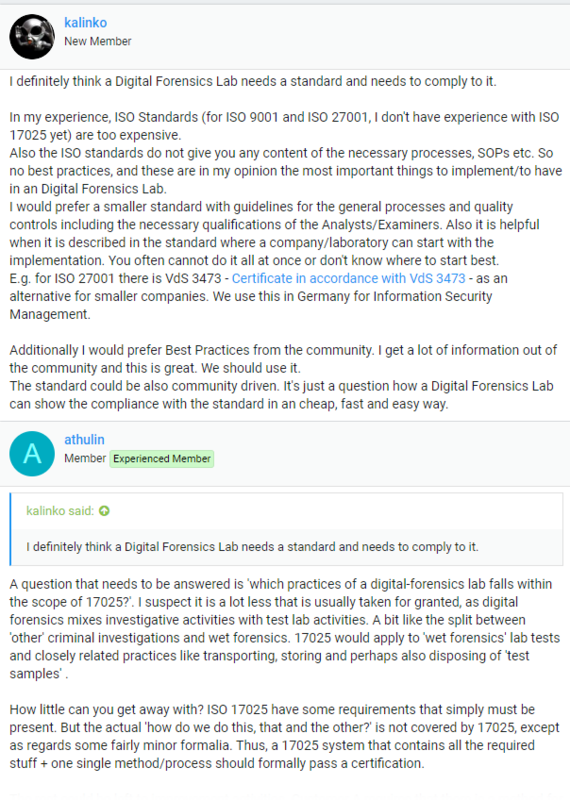 The European Network of Forensic Science Institutes (ENFSI) provides the following information within their “Best Practice Manual for the Forensic Examination of Digital Technology”. 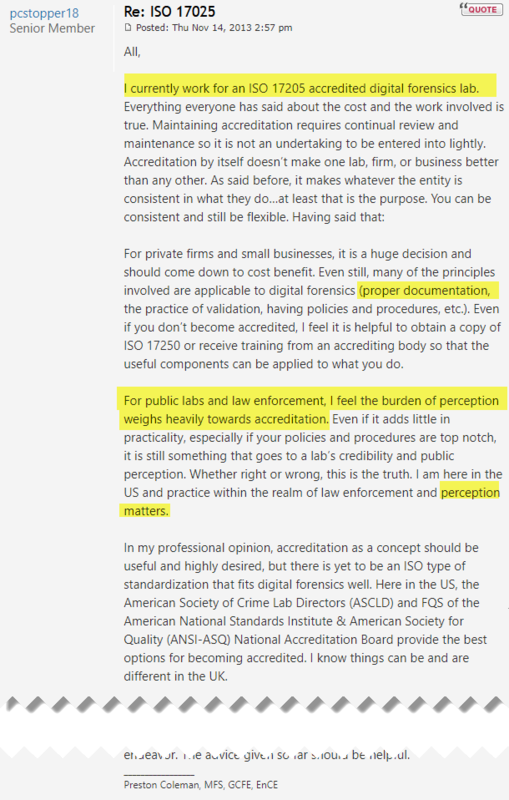 This guide provides information on accreditation for all areas of forensic sciences including digital forensics. 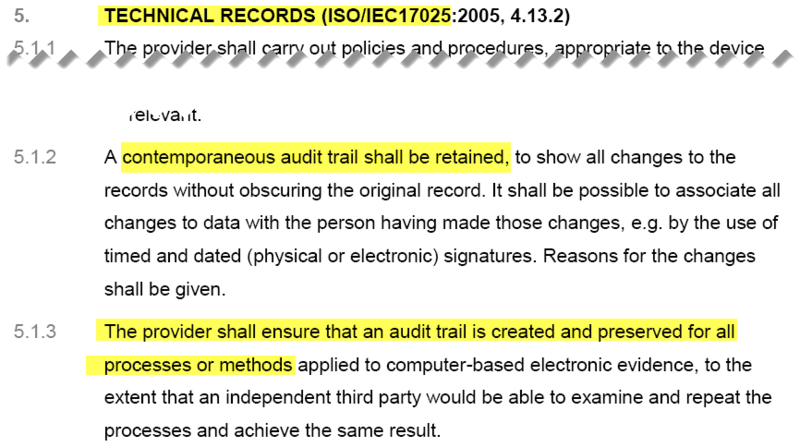 The above highlighted section clearly shows that if electronic notes are used, mechanisms must be in place to ensure that the notes cannot be changed or altered. 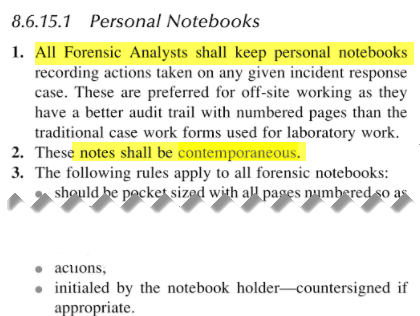 The following Digital Forensic books also recommend that contemporaneous notes be created during the examination. 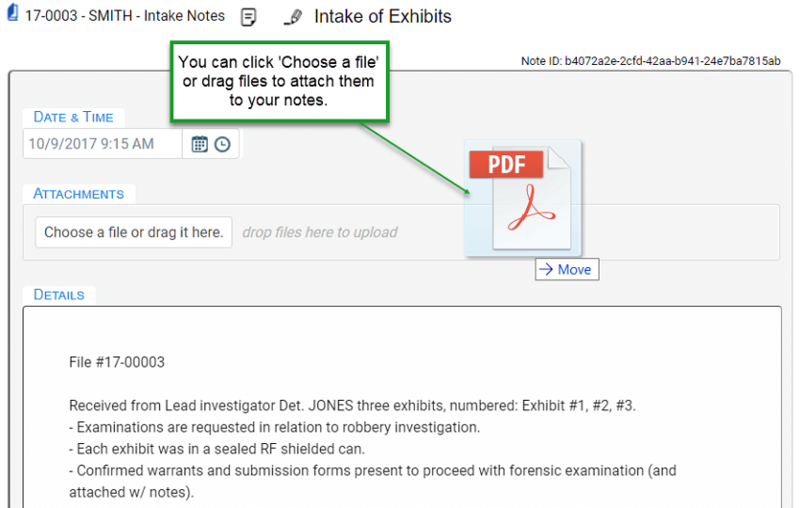 Did you know that Forensic Notes is accessible on Mobile devices? 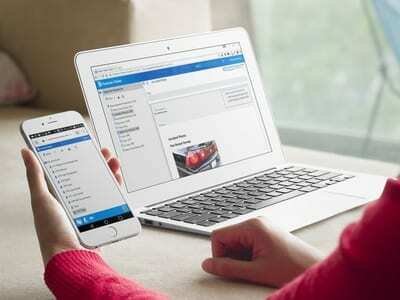 Take a picture within our app, include it in your notes and have it timestamped in a couple of easy steps. 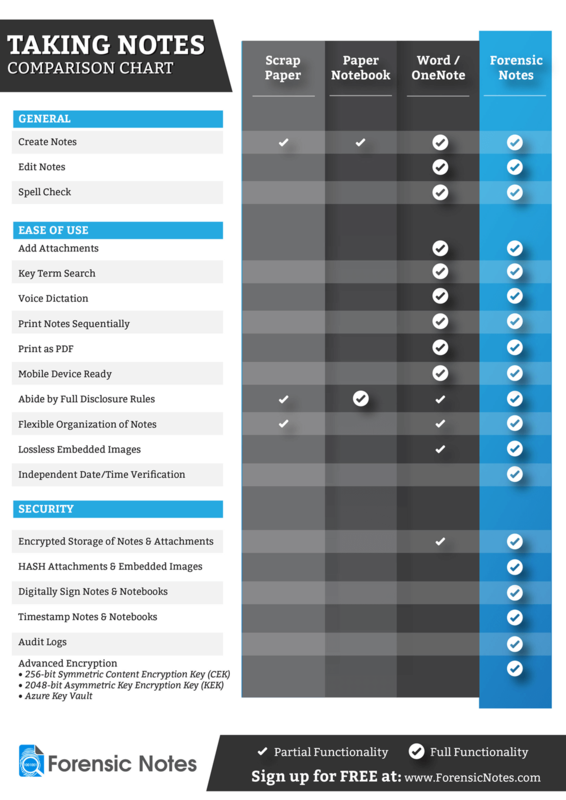 Do not document (highly NOT recommended)! 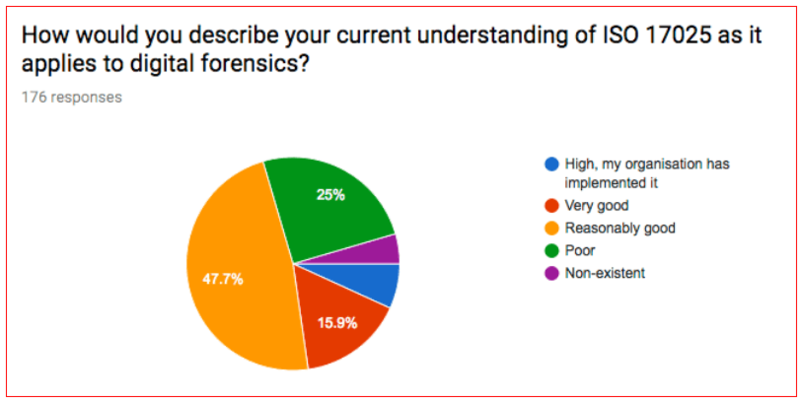 Of course, as the founder of Forensic Notes, I freely admit that I might be slightly biased in holding the opinion that Forensic Notes is the perfect solution for documenting your Digital Forensic and Open-Source Investigations. 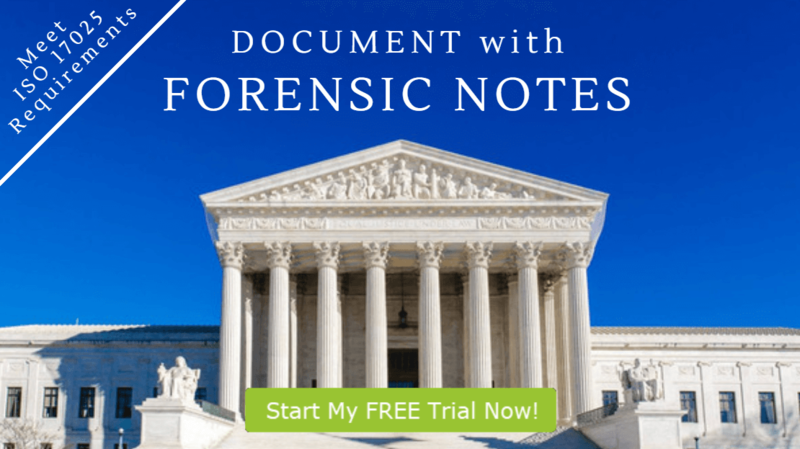 But as you likely have realized I am passionate about this topic, and I want to provide the Forensic Community the best possible tool to allow examiners to take contemporaneous notes in an easy, though robust way, while also ensuring security and authenticity of the notes when needed in court. 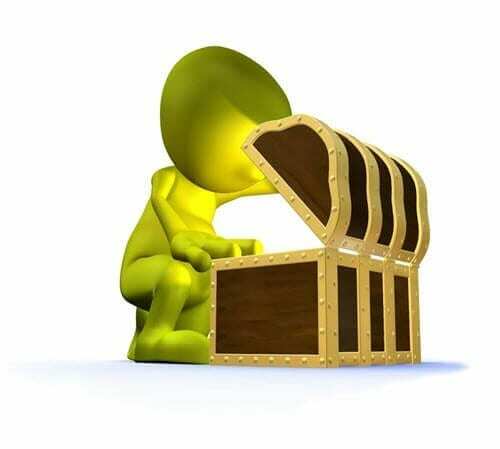 NOTE: For demonstration purposes, ZIP Archive password removed. 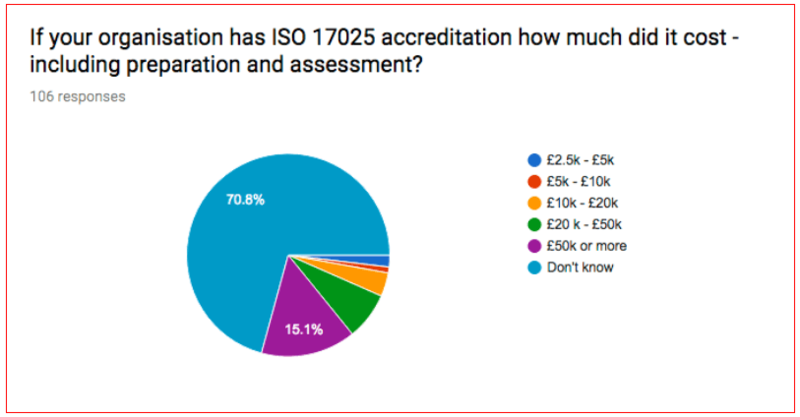 How will YOU document your next Digital Forensic Examination? 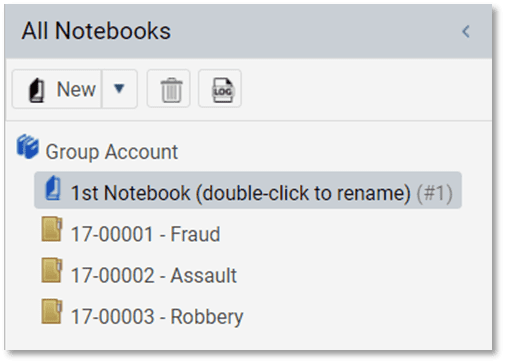 Will you stick with the classic pen and paper, utilize a word processing application such as MS Word or OneNote or go with a more forensic solution such as a purpose-built electronic note-taking system like Forensic Notes? 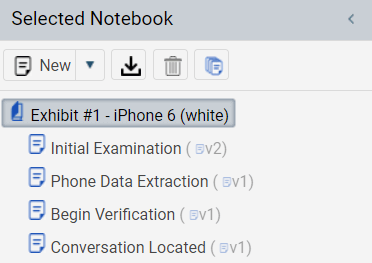 Properly document your investigations in an electronic format while ensuring the security and immutability of your notes.